Writing Place: Creative-Critical Conversations’ is a series of six public events organised by the new Centre for Place Writing. In each event, a Manchester Met researcher will be paired with an artist or academic from outside the University to introduce their work and to discuss the relationship between creative and critical approaches to place. Ideas and issues that will be explored during the series include the power and problems of mapping, the representation of post-industrial geographies, and the relationship between writing and music. Authors Lisa Blower and Sarah Butler will be in conversation on the 9th May, sharing insight into creative writing. Sarah is author of Before the Fire and Ten Things I’ve Learnt About Love, and she’s currently working on her third novel, Jack and Bet. 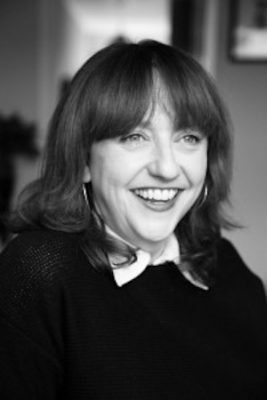 Lisa Blower is author of It’s Gone Dark Over Bill’s Mother’s (Myriad, April 2019) and creative writing lecturer at Bangor University. ‘Her stories are at times the laugh-out-loud funny of Alan Bennett and at others, the achingly sad of the great, David Constantine.’—Paul McVeigh discussing author Lisa Blower and stories featuring within It’s Gone Dark Over Bill’s Mother’s.